» Fifty/Fifty vs Hydro Flask – Which is the Better Bottle in 2019? Fifty/Fifty vs Hydro Flask – Which is the Better Bottle in 2019? More people than ever have switched to reusable water bottles thanks to consistent marketing promoting awareness on the wastefulness of plastic bottles and cups. Over the past decade or so there has been a huge spike in the popularity of double-wall insulated stainless steel bottles as an alternative to reusable plastic bottles. Reusable plastic water bottles designed for outdoor use (i.e. Nalgene) have been around since the 70s and though they will always be favored by some, a growing number of outdoorsmen are switching to stainless bottles. Quick Update on Pricing: The Hydro Flask is available here with promos for a LIMITED TIME right now. Standard mouth sizes and lid options include Flex Cap or the Hydro Flip. Which is the Better Bottle? There are two main reasons why double-wall vacuum insulated stainless steel bottle design has skyrocketed in demand – they are exceptionally durable and they offer hot or cold beverage insulation. 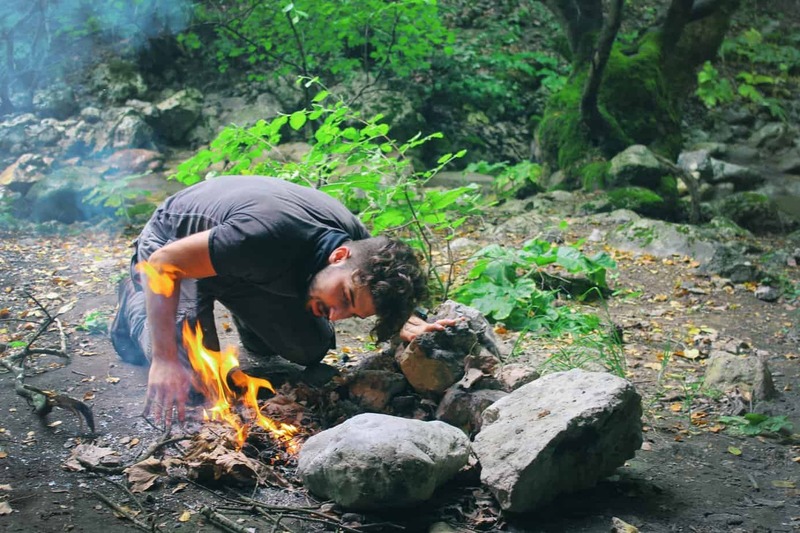 Although it may not matter quite as much in a casual setting or for daily use, durability is very much a concern for those that regular hike, camp, cycle, hunt, etc. An accidental drop on the rocky ground can shatter or crack a plastic bottle, potentially leaving you without a source of hydration when you’re miles from a clean source. Stainless steel is a much tougher material choice than plastic, even if said plastics are designed to be shatterproof. Even the toughest plastic bottle still lacks the second advantage of stainless steel bottles, however. A double-walled vacuum insulated stainless steel bottle is the only way to get guaranteed temperature control for your beverage of choice. Plastic and single wall stainless steel bottles do a poor job at maintaining temperatures. Even worse, some cheaply-made stainless steel bottles also “sweat”, meaning condensation forms on the outside of the bottle, leaving it slippery and uncomfortable. Double wall vacuum insulated stainless steel bottles don’t sweat and can maintain beverage temperatures for nearly an entire day – whether you want icy cold water or want a thermos of hot coffee to keep you warm during winter. As consumer demand grows for this particular style of bottle, more and more brands are popping up all the time. Not all bottles are created equal and when it comes to your hard-earned money, the best way of ensuring you invest in a bottle that will truly last is to purchase from a reputable, time-tested brand. At the very top of the list of the best insulated stainless steel bottles is Hydro Flask. 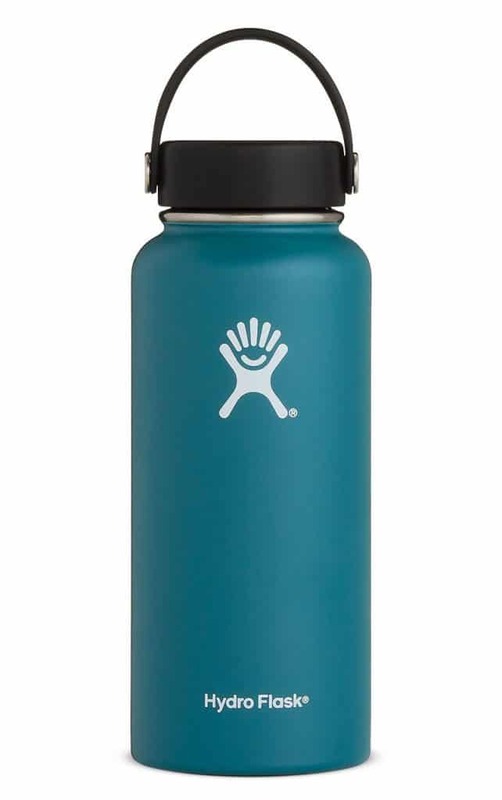 Hydro Flask is one of the most popular brands and chances are high that if you impulse-purchase a Hydro Flask bottle you’ll be happy with your choice. That being said, Hydro Flask certainly isn’t the best bottle for every person. Another brand competing with Hydro Flask is Fifty/Fifty. There is a lot of gossip surrounding Hydro Flask and Fifty/Fifty. Some claim that both bottles are actually identical and produced in the same factories. This idea stems from the rumor that one of the Hydro Flask founders left the company and, in doing so, legally acquired the technology and design of Hydro Flask. The name of Fifty/Fifty is a nod to the founder having gotten 50% of the Hydro Flask rights. Although it’s fairly impossible to find a reliable answer as to whether this is true or not, what customers do agree on is that there are very few differences between these two brands. Hydro Flask was founded in 2009 by Travis Rosbach and Cindy Morse, though it was later sold in 2012. It is one of, if not the most popular stainless steel water bottle for outdoor enthusiasts. Although Hydro Flasks has over 100 different products, their classic wide mouth bottles are naturally their best sellers. Hydro Flask’s website has updated to a very user-friendly “Build Your Own Hydro Flask” design option, which lays out all your customization options. These bottles come in seven different sizes – 12oz, 16oz, 18oz, 20oz, 32oz, 40oz, and 64oz. Mouth sizes are wide or standard and lid options include the classic Flex Cap or the Hydro Flip. You’ll have 17 different color options for the bottle body, 14 color options for the lid or cap, and 13 color options for the boot. Hands down, Hydro Flask offers the most color customization options (meaning color combinations) out of any bottle brand, including Fifty/Fifty. As far as design goes, all Hydro Flasks are made of 18/8 professional grade stainless steel with double-wall construction. TempShield technology keeps drinks cold for 24hrs or hot for 6hrs. Hydro Flasks routinely adds new color options for their bottles and other accessories. The bottle boot is a recent addition to their line and it a slip-proof silicone “boot” bottom that fits snugly on your Hydro Flask. It helps prevent your bottle from slipping on smooth surfaces and also eliminate damage to the bottom. Fifty/Fifty Bottles was founded in 2013, not long after the current CEO of Hydro Flask purchased the company in 2012. There isn’t a whole lot of information on the company’s background, but they do have plenty of positive reviews backing how great their bottles are Fifty/Fifty also offers seven different bottle sizes – 12oz, 18oz, 25oz, 34oz, 40oz, 64oz, and a 25oz wine growler. Most sizes have two lid options – a two or three finger grip cap or a flip top. The color range of these bottles is also very impressive. Colors vary between products but you can expect 17 options for the 12oz to 40oz bottles, 10 for the wine growler, and 5 fort the 64oz growler. Fifty/Fifty also sells straw lids and paracord handles for their bottles (sold separately). These bottles are all 18/8 stainless steel with double wall construction, just like Hydro Flask. They don’t sweat and with some research, you’ll find that they claim cold drinks stay cold for 24hrs and hot drinks stay hot/warm for up to 12hrs. Customers do agree that this to be the case and owners of both Hydro Flask and Fifty/Fifty rarely ever cite any differences when it comes to insulating capabilities. There are very few differences between Hydro Flask and Fifty/Fifty bottles. Although we might never quite know whether the alleged background of the Fifty/Fifty brand is true, the idea that the bottles are almost identical can’t be ignored. The only real difference between these bottles are some sizing options, colors, and the lid design. Structurally the bottle itself is extremely similar, although Fifty/Fifty offers slightly larger sizes than Hydro Flask (i.e. 34oz vs32 oz respectively). Ironically, despite Fifty/Fifty having slightly larger bottles, their bottles also cost less. Where Fifty/Fifty loses its edge is when it comes to the lid design. There is a bit of a trend with the Fifty/Fifty lids that the inside rubber gasket wears away and eventually breaks. The brand does offer free replacements lids, however. All in all, if you want the specific color and size options, as well as the prestige, Hydro Flasks could be the better option. If you prefer rooting for the underdog, want a bigger bottle, and pay less at the same time, Fifty/Fifty bottles are a great choice.